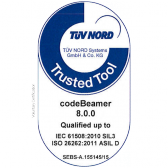 Intland Software’s codeBeamer ALM has been awarded a TÜV Nord “Trusted Tool” certification for supporting compliance with ISO 26262 and IEC 61508. The certification provides assurance that specific features of codeBeamer ALM meet critical functional safety requirements as per the guidelines of the general safety standard IEC 61508, and its derivative ISO 26262 for automotive systems development. This TÜV certification also reduces the time and effort needed for individual tool qualification, a necessary process for the many companies using codeBeamer ALM to help them build quality products for the medical, automotive, avionics, and other mission-critical industry sectors. codeBeamer stores all your important production and historical data in its repository, from requirements to testing and delivery. Making sense of all that data to unlock valuable insights just got easier with codeBeamer’s new Business Intelligence features. You can now search and filter data using queries, visualize it using preconfigured charts and diagrams, and analyze it to support decision-making – all with a few simple clicks. Using shareable, exportable automatic data visualization enables you to monitor business KPIs effortlessly, letting you oversee, improve and optimize processes. 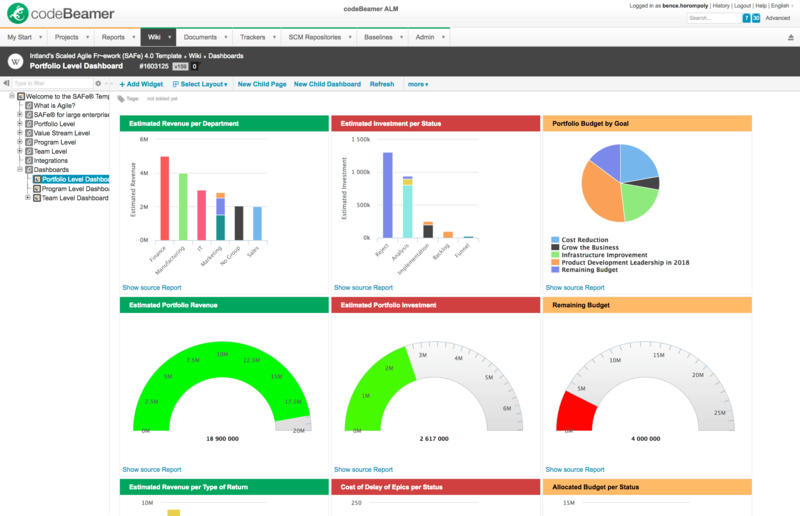 Dashboards and reports with benchmarks, visualized data, and production insights may be simply created and shared with others. When it comes to developing complex system of systems products, efficient collaboration between suppliers and manufacturers is vital. We have had customer asking for the ability to share and exchange large numbers of requirements in a single documents. Therefore, codeBeamer 8.0 offers improved ReqIF data exchange that not only offers a convenient user interface, but is structurally updated to be capable of exchanging 10,000-30,000+ requirements in a single document in a fast and simple way. Therefore, the import and export of requirements, change requests, QA & test specifications, as well as all their relationships is greatly simplified. This reduces the chance of errors, and strengthens the solid integration between codeBeamer and IBM DOORS, or IBM DOORS Next Generation. 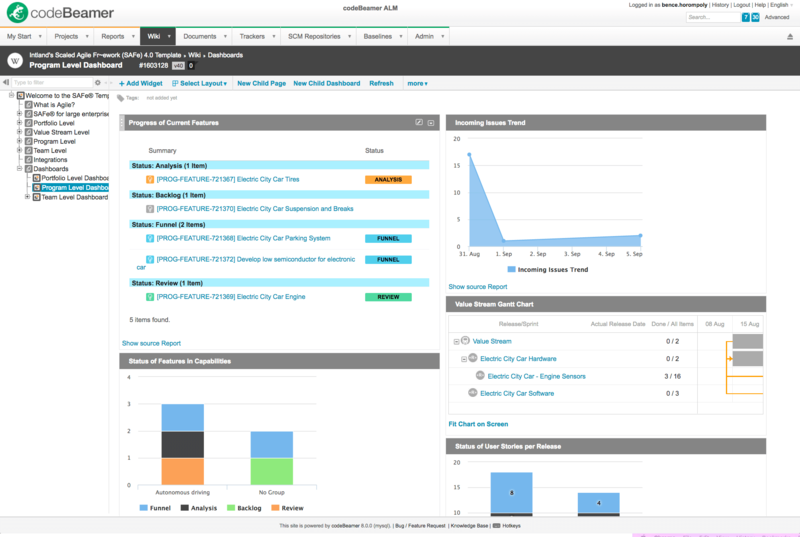 codeBeamer’s enhanced tracker view also provides simple DOORS-like, as well as more comprehensive advanced views. 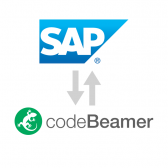 To support the development of complex products in multi-layered enterprise environments, codeBeamer is now integrated with SAP. The integration, built on SAP SOAP and codeBeamer’s REST API, helps enterprises maintain traceability and data consistency across their tools. 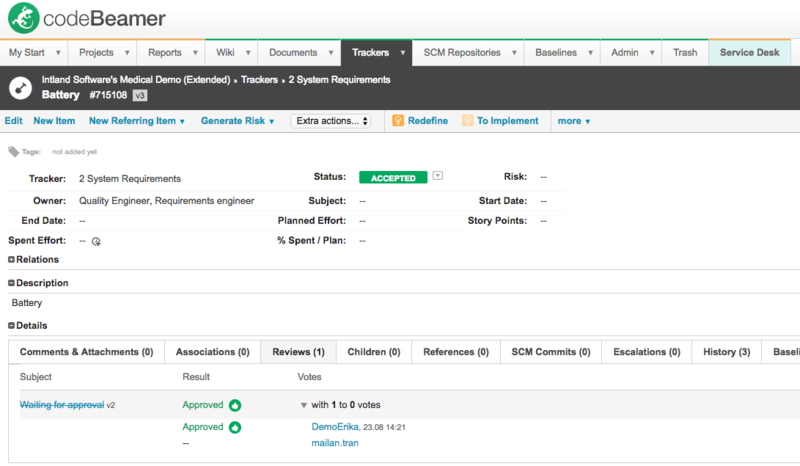 codeBeamer’s integration with SAP Transport Management and SAP Service Management allows users to submit bugs, change and feature requests in SAP. Software-related items will be automatically transferred to codeBeamer from where, after managing them to completion, tickets will automatically be exchanged back to SAP, and the user submitting the request will be notified that work has been completed. This is a third-party integration. The workflow now supports entry and exit actions, which are executed upon an item’s entry to a certain state, or upon exit from that specific state. Entry and exit actions are associated with states, not transitions. Regardless of how a state is entered or exited, all its entry and exit actions will be triggered and executed automatically. This greatly facilitates the automation of complex workflows, reducing the time and effort costs of managing elaborate projects. As the volume and complexity of product lifecycle data grows, maintaining relationships between items is becoming a crucial issue. With codeBeamer’s improved functionality to join relational databases, and updated user interface (reference editor) to associate work items, creating references between artifacts has become even more simple and straightforward. Advanced reference management helps make complex data structures manageable and easier to overview. Using codeBeamer 8.0, you can now create references to baseline versions, and define new attributes for references. Test cases may be generated with “verifies” flags, and suspected links between artifacts will be automatically identified. 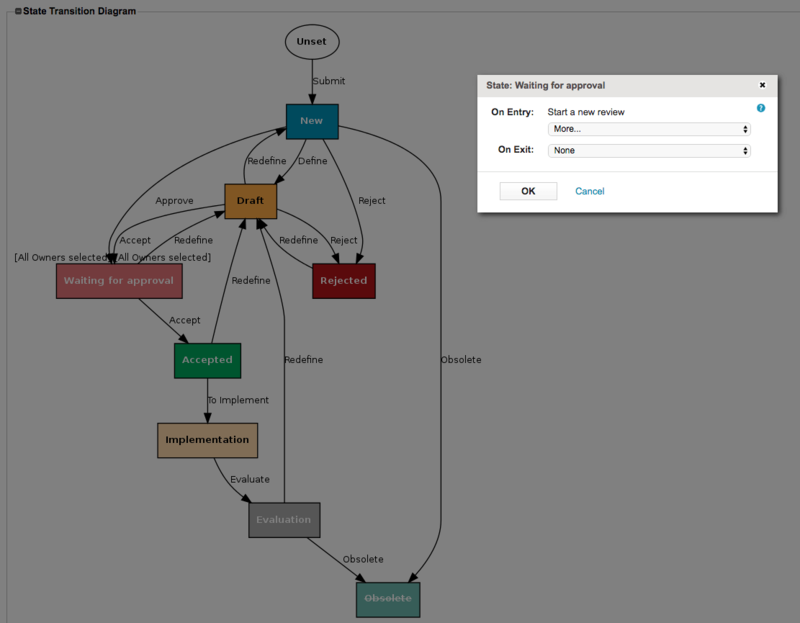 With this update, codeBeamer’s latest version has truly become the go-to ALM solution for complex data structures. Among codeBeamer’s new integrations, you’ll find the Google Testing Framework for C/C++ users, and code coverage integrations with QA Systems’ Cantata, and VectorSoftware’s VectorCast for C/C++ users. 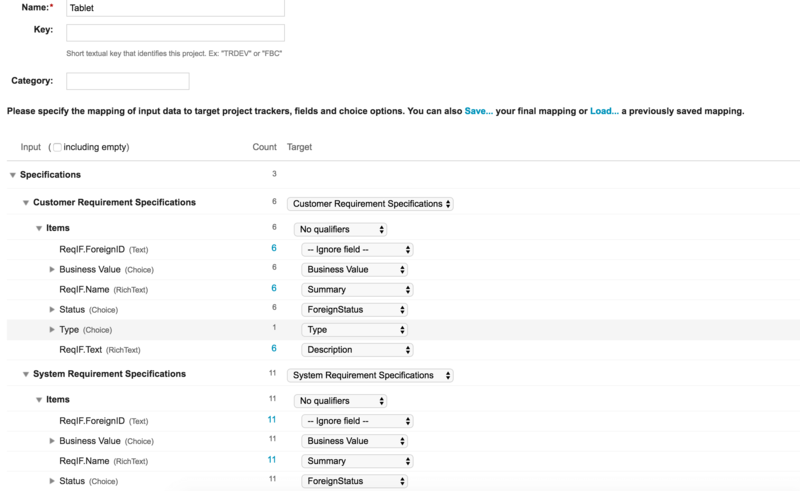 Our new Jenkins plugin allows you to customize test cases and configurations, and lets you check the coverage of requirements with unit tests. It also enables you to filter automated test cases using a simple interface with a coverage browser and release statistics. The plugin can map and auto generate test cases and test sets, and can inject xUnit data into codeBeamer trackers. Offline testing is a new feature offered by codeBeamer 8.0, meaning that tests can now be run outside of your ALM solution. Test results can then be simply reimported through Excel files to codeBeamer so as to ensure the consistency of your testing data. Thus, it doesn’t make a difference whether tests were run inside or outside of your ALM tool, giving you flexibility and assurance that all your test-related data is up to date. codeBeamer 8.0 provides a new, workflow-based standard mechanism for reviewing and approving work items such as requirements. This new review mechanism gives you control over what work item states the review should be performed in, the reviewers that are allowed to review and approve the item in that specific state, and review configurations to determine the level of security needed (electronic signatures). In addition, you can now define the number of approvals (positive votes) necessary for the item to be successfully approved, and how many rejections (negative votes) are allowed on an item before it is considered declined. Want to learn more about the updated & new features and abilities that codeBeamer 8.0 offers? Join our webinar: What is new in codeBeamer 8.0? codeBeamer 7.9 features brand new search and filtering functionality using queries. Built-in as well as custom queries (via cBQL) can be used to find any items in any of your projects. Filtering queries can be simply shared with others. Gantt charts give you an overview of your sprints and releases, greatly facilitating project management. You can also edit your releases directly from the Gantt chart, as any changes done on the chart will be reflected in the affected releases or sprints. To maintain data consistency throughout the entire development lifecycle, codeBeamer’s integration with JIRA has been updated to be bidirectional. This integration allows you to make updates to work items on the fly, with any adjustments made in codeBeamer replicated in JIRA, and JIRA updates automatically mirrored in codeBeamer.